Should pharmacists carry personal professional liability insurance to protect themselves in the event of a prescription error or other pharmacy-related lawsuit? Given the number of prescriptions that are filled by the average dispensing pharmacist these days, combined with the dangerously busy working conditions which frequently exist, the question about liability insurance is more than a hypothetical concern. It’s a very present and pressing question. No one every goes to work expecting to be responsible for a prescription error. No one ever plans on causing any patient harm. But I suspect that any pharmacist who has had the experience of being responsible for a significant error, the issue of professional liability or malpractice insurance is very, very real. A Houston Texas pharmacist began his day, I suppose, like any other. I’m guessing he unlocked the pharmacy, checked the messages, filed reports, worked on prescriptions, got busy, took phone calls, didn’t get a lunch break, got distracted with dozens of questions…and mis-filled a morphine sulfate 2mg/ml prescription with 20mg/ml concentrate solution. The young girl who took it died the next day. This is a tragic story. Maybe a career ending story. Cases like this can never be erased by simply carrying a professional liability policy, but that doesn’t eliminate the need to discuss this issue and think about it. I remember when I was sued. The experience was excruciating. However, it had nothing to do with my career as a pharmacist. An abutting land owner to our neighborhood sued me and all my neighbors because he thought our properties were leaking septic contents onto his land. We weren’t. And multiple tests proved it. It was a crazy and absurd experience. But I learned some valuable lessons about the U.S. legal system. The first lesson is that lawyers are not cheap. The second is that “innocent until proven guilty” doesn’t mean that innocent won’t be expensive. It has been my opinion for quite some time that most pharmacists involved in any sort of dispensing function should carry a personal professional liability policy from a reputable provider. The fact that your employer undoubtedly carries a policy that covers you while working for them is a good thing, but (in my opinion) should not be entirely relied upon to protect yourself from a claim. Many others agree. There are a variety of good companies out there for pharmacists to begin researching and comparing prices and polices for liability insurance. 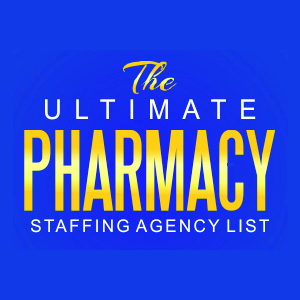 These include companies like Proliability, HPSO or Pharmacist’s Mutual. If you belong to any professional organization you can probably get a discounted rate or at least a recommendation. Buy insurance from an agent who will explain the policy and who is familiar with the profession of pharmacy. Look for “who is insured” (usually in the liability section under definitions). 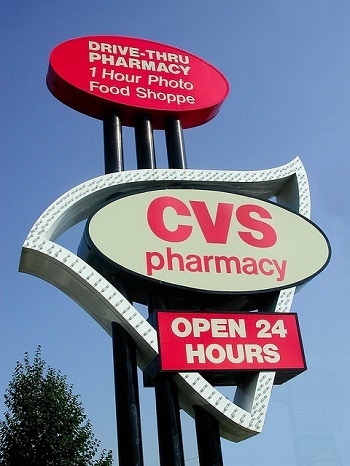 Look for “how coverage” is provided: The pharmacy’s policy should say it is “primary,” so that it covers employees before their individual policies; a professional liability policy for an individual pharmacist or pharmacy technician should say that it is “secondary” or “excess” coverage. I think this is an important issue. It is uncomfortable to discuss because it frankly sounds like all I care about is being “covered” in the event that a tragic mistake is made. Of course, that is a pretty callous and insensitive thing to think. I don’t know of any pharmacist that wants to make a mistake. It is our biggest fear and our constant concern. And the pressure seems to be getting greater all the time to fill more prescriptions faster and faster than the year before. Carrying professional liability insurance to cover yourself in the case of a lawsuit isn’t just about protecting yourself. It is also the way that medical expenses and damages can get adequately paid to anyone who is unfortunately injured as a result of an error. In addition to purchasing a liability policy (which should only cost you around $150 – $200 per year) you might also want to read my article entitled: 10 Tips for Managing Pharmacy Stress. Remembering to Take Your Meds – TIPS!